← Guringai Festival 2016, Singing Up Country Concert. 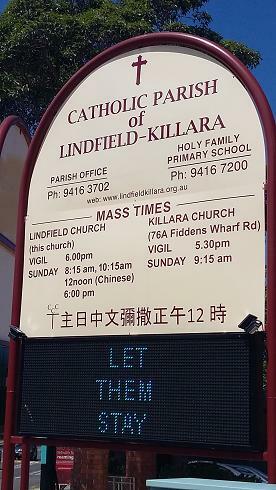 Broken Bay parishioners may have noticed these words boldly standing out on their own Church notice boards of late. They are certainly eye catching … But what exactly do these words mean? And why is it such an important & vital message to share? 54 children are held in Australian funded detention facilities in Nauru. 88 children are held in detention facilities on the Australian mainland. 293 children in community detention on the Australian mainland. 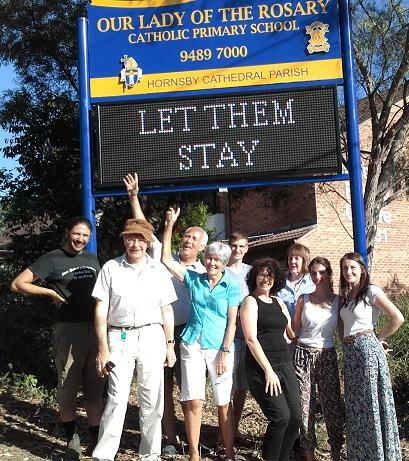 ‘Let Them Stay’ is advocating that detention is no place for children and people seeking asylum to be staying. 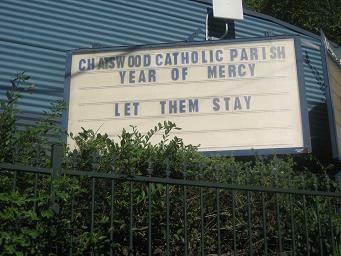 Many Australians hope that arbitrary and prolonged detention for families seeking asylum in Australia will be ended. It is important to clarify the language used in this humanitarian discussion, as there is often confusion and misuse of terms such as ‘refugee’ and ‘asylum seeker’. Exploring these definitions can clarify confusion and highlight the fact that there is nothing illegal about either of these status’ despite messages often expressed through mainstream media. 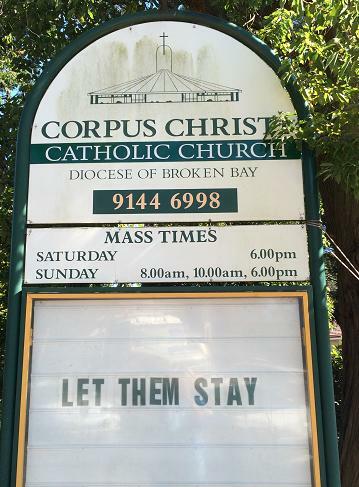 The Australian Catholic Migrant and Refugee Office is an organisation involved in this call to action and is a great place to source more information and statements from the Australian Catholic Bishops Conference. 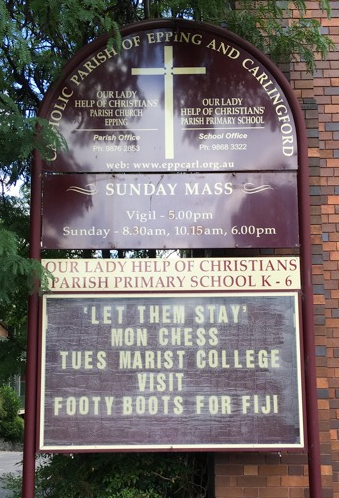 Familiarising ourselves with the Australian Catholic Church teachings on issues of asylum and migration can help foster greater understanding and better enable us to “prevent unwarranted fears and speculations“ which are described as detrimental by Pope Francis himself. Jessica Brown it is an honour to know you and a great blessing that you not only teach our children, but you also assist in our learning, as mothers.